Not only would the Prague Mirror be a very stylish addition to any interior scheme, but it also complements both the Prague Chest and Prague Bedside Table beautifully for a seamlessly co-ordinated bedroom design. The Prague Mirror by British furniture designers, Robert Langford, has a squared veneer surround with a bevelled mirror and is finished in a ‘light cocoa’ oak with a central signature Robert Langford bronze trim. 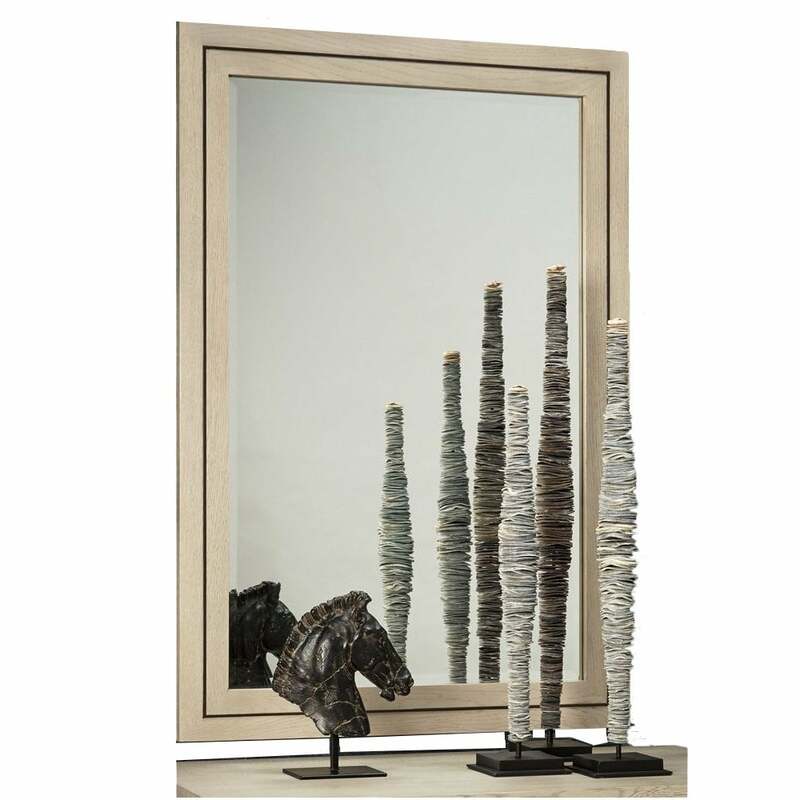 Effortlessly elegant, the Prague Mirror by Robert Langford will provide a sophisticated focal point bringing light to any bedroom, hallway, stairwell, office or dining room.